During his ongoing visit to Tehran, French Foreign Minister Jean-Marc Ayrault declared his country will double the visas available for Iranians in 2017, in what appears to be a response to US President Donald Trump’s controversial travel ban which has targeted several Muslim countries including Iran. The visiting French Foreign Minister said in a speech to the French expatriate community in Tehran that the US should avoid any move that would promote discrimination against nationals of other countries – what he suggested Trump’s order would lead to. The measure also comes as France seeks to deepen bilateral ties with Iran after the lifting of Iranian sanctions in 2015, AFP reported. France issued about 40,000 visas to Iranians in 2016, the news agency quoted an unnamed French diplomatic source as saying, adding that the visas would cover tourism, students and work. Trump in an executive order issued on January 27 blocked the entry of citizens from Iran, Iraq, Libya, Somalia, Sudan, Syria and Yemen into the United States for 90 days. It also suspended entry of all refugees for 120 days and barred Syrian refugees indefinitely. The French FM arrived in Tehran on Monday heading a senior politico-economic delegation. During his two-day stay, the French foreign minister plans to meet Iran’s President Hassan Rouhani, Parliament Speaker Ali Larijani, Foreign Minister Mohammad Javad Zarif, and Secretary of the Supreme National Security Council Ali Shamkhani. 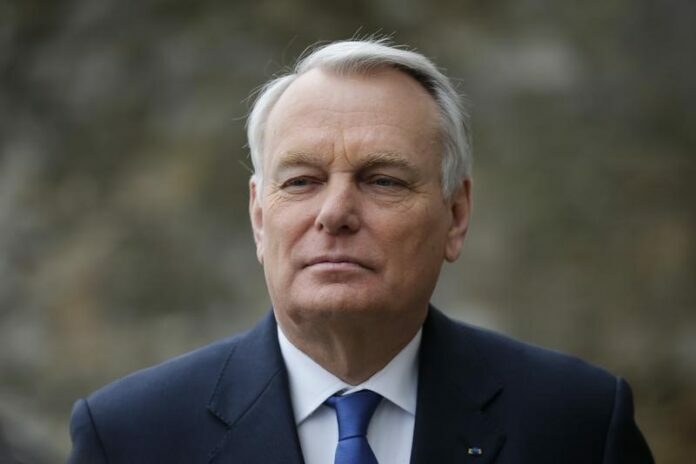 Ayrault says he is a “defender” of the nuclear deal between Iran and six other countries, amid concerns that one of those countries, namely the United States, may act to breach it. “I’m coming as the defender of the accord,” Jean-Marc Ayrault told reporters after landing in Tehran, referring to the Joint Comprehensive Plan of Action (JCPOA), as the deal is known. “We want this agreement to be respected,” he said, emphasizing that it was a “common interest” to sustain the accord, Press TV reported. France’s stakes are particularly high. French industrial behemoths Airbus, Total, Peugeot, and Renault have all signed cooperation agreements with Iran following the deal. Ayrault’s visit now is also expected to feature the signing of more economic accords. In a rare stance taken toward the new US administration, the French foreign minister also denounced recent US bans on nationals from Iran and six other countries and said Paris would be doubling the visa quota for Iranians. “This has nothing to do with fighting terrorism,” Ayrault told the reporters. He said he thought the order was “dangerous,” amounted to “discrimination,” and had to be revoked.